Lanan Racing's British GT and BRDC British F3 squads head to Oulton Park on the May bank holiday for the latest rounds of the 2016 season. It is the first two-race weekend for British GT this year, with a pair of one-hour sprints, while F3 races three times. Joey Foster and Alex Reed overcame a sheared anti-roll bar to claim a breakthrough podium last time out at Rockingham in only their second race together. It was the debut of their new Ginetta G55, and they showed consistent pace to capitalise on the misfortune of those around them. BRDC F3 pairing Akhil Rabindra and Toby Sowery had less luck, with erstwhile championship leader Sowery managing a best-placed finish of sixth. A 13th place in the first and eighth place in the second leave him 22 points adrift in second in the standings. Rabindra heads to Cheshire in 19th in the championship, after placing 16th and 19th in his two points-scoring races at Rockingham. 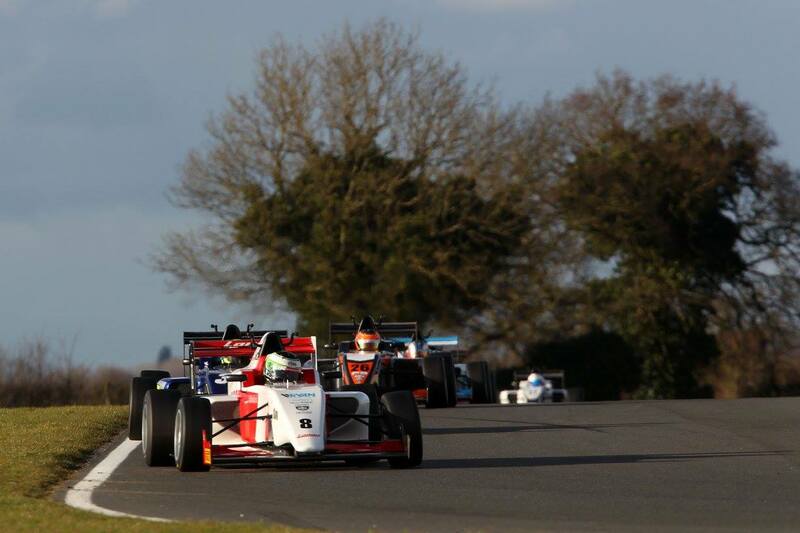 To view the timetable for British GT and BRDC British F3 at Oulton Park click here. For more information email graham@lananracing.com or call 07970 685498.